Though your smile is perhaps the most striking part of your body, it is also one of the easiest to damage, as well as extremely difficult restore because of the very thing protecting it: the tooth enamel. Covering the outer layer of your teeth, the tooth enamel is the hardest and most highly mineralized substance in the human body, which is why it is the primary defense in preventing tooth decay. Tooth enamel protects the inner layer of each tooth from the corrosive effects of acids and plaque, as well as from extremely hot or cold food and beverages. Unlike the rest of the human body, tooth enamel is not comprised of any living cells and therefore cannot regenerate, making it even more important to take active steps to care for your tooth enamel while you still have it. Because tooth enamel does not contain living cells, it’s difficult to feel its damage as you might other parts of your body like skin or muscle. According to the oral health specialists at Crest, tooth enamel can be damaged in two different ways: abrasion and erosion. Abrasion occurs when something rubs against the tooth, such as brushing too hard, scraping with a toothpick, and other rough activities. Erosion, on the other hand, occurs through overcontact with dietary acids from certain foods and beverages or from stomach acid. Vomiting is the leading cause for exposing tooth enamel to stomach acid, which may be produced through habits such as bulimia or binge drinking. Additionally, gastroesophageal reflux disease, acid reflux, or heartburn can lead to the erosion of tooth enamel, according to Crest. Because tooth enamel does not contain regenerative cells like your bones, it won’t go back. Therefore, to strengthen tooth enamel, it’s important to fight abrasion and erosion. Fortunately, the steps to combat tooth enamel decay are easy everyday decisions that can stop the degeneration in its tracks. Fluorine is a chemical element naturally found in the Earth’s crust, from which the substance fluoride is derived. According to the Royal Society of Chemistry, fluorine was not commercially produced for widespread use until World War II, after which led to the widely controversial but scientifically defended practice of public fluoridation. As outlined by the American Dental Association, research dating back to the ‘40s has proven that fluorides below two parts per million in drinking water helps prevent decay in tooth enamel by at least 25% in both children and adults. Basically, fluoride strengthens tooth enamel by making it more resistant to the dietary acids of erosion. Because of the long-term dangers of weakened tooth enamel, fluoride has been added to nearly 75% of the U.S. population’s drinking water over the past 70 years, according to the Centers for Disease Control and Prevention, which has cited community water fluoridation as one of the ten great public health achievements of the 20th century. The fluoridated water people drink becomes a part of their saliva, which then continually washes the tooth enamel to build its strength. You may further reinforce your tooth enamel with fluoride with toothpaste and mouth wash that contains the substance, as can be determined by an ADA seal of acceptance on the package. Children under the age of six may use either, but only under recommendation from a dentist, and under supervision of an adult, just in case they accidentally ingest while they rinse. Additionally, fluoride supplements are available for children living in areas without fluoridated community drinking water, an option accessible by prescription only. Some health facilities even offer free walk-in dental clinics to offer children fluoride treatment to strengthen tooth enamel, as reported by the Lawrence Journal on their local news. As everybody knows, sugar leads to tooth decay; however, it’s more specifically the type of oral bacteria that feed on those sugars which then destroys the tooth enamel, according to the National Institute of Dental and Craniofacial Research. When you frequently consume food and drinks with high sugar content, the oral bacteria produces more acids that wear down the tooth enamel throughout the day. Other foods that cling to the teeth for an extended period of time, such as chips, dried fruit, hard candy, dry cereal, cookies, and more, also lead to greater erosion of the tooth enamel as they’re less easily washed away by saliva. Saliva is actually one of the most important guards against erosion of tooth enamel, as outlined in the Journal of Applied Oral Science. Saliva helps dilute and eliminate the acids that build up on teeth, and is comprised of many components such as calcium, phosphate that helps strengthen tooth enamel and remineralize dentin, the layer of tooth just under the enamel. Though the enamel itself cannot be rebuilt without regenerative cells, the dentin is a calcified tissue of the body and therefore continues to form throughout life. Increasing salivary flow can help strengthen tooth enamel as it removes the tough acids that wear down the teeth and decays the dentin. The physical act of chewing itself increases the flow of saliva in your mouth, according to extensive information from the American Dental Association, a fact that has led many cultures throughout time to create their own version of chewing gum. The ancient Greeks chewed sap from their mastic trees, the ancient Mayans chewed sap from their sapodilla trees, and indigenous tribes from the American Northeast chewed sap from their spruce trees, which they eventually passed on to European settlers, according to the Smithsonian Institute. 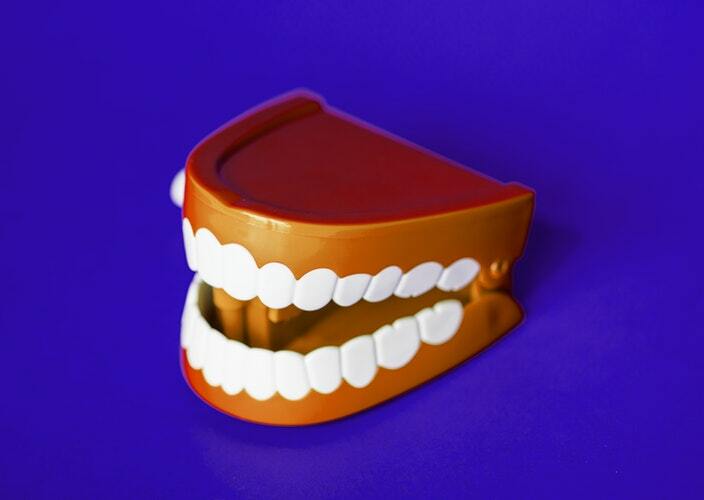 Today, gums are produced through a blend of synthetic materials as well as sugar. Sugarless gums, as identified only by the American Dental Association seal of authority, are sweetened by non-cavity causing substances and therefore only help increase salivary flow, invigorate the mouth with extra calcium and phosphate, and wash away damaging acids. The ADA therefore advocates chewing sugarless gum for 20 minutes after meals. Ironically, humanity’s state of oral health declined for a time despite the advancements in dental technology. Called the “Isaac Newton of Nutrition,” Dr. Weston A. Price was a dentist from Cleveland, Ohio who committed his career at the turn of the twentieth century to traveling the world to research the world’s state of oral hygiene. First published in 1939, Price’s book Nutrition and Physical Degeneration: A Comparison of Primitive and Modern Diets and Their Effects has laid the groundwork for much of today’s understanding of the effects of dietary choices on oral hygiene. Through studying isolated villages throughout the world, Price discovered that primitive tribes with diets rich in nutrients and unprocessed foods had much better oral hygiene that his modern patients of the Western world, whose teeth were instead crowded, crooked and deteriorating much faster than the advances in dental technology would suggest. Price therefore concluded that a diet of fortifying foods, diverse in their nutrients, is imperative to maintaining your oral health and protecting all parts of the teeth, including the tooth enamel. 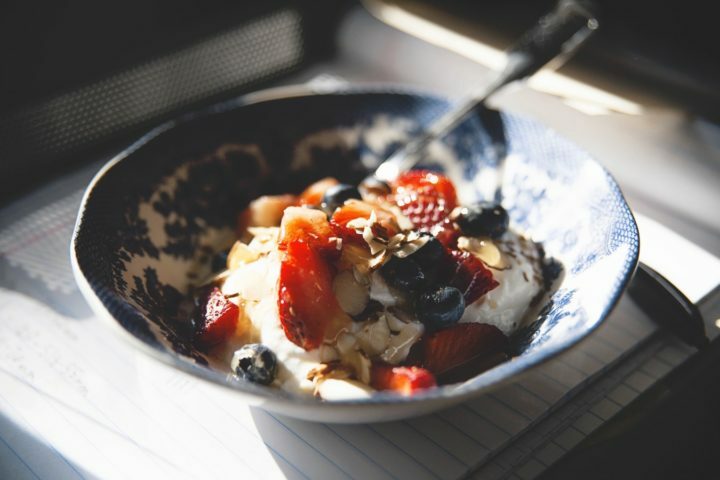 In many clinical articles from the journal General Dentistry, there are many dietary choices that can gradually strengthen tooth enamel and fend off tooth decay. Dairy products such as milk, yogurt, and cheese are rich in calcium and phosphorous that helps strengthen tooth enamel. Strawberries boast plenty of vitamin C, antioxidants, and malic acid that further protect tooth enamel. Additionally, protein-rich foods like meat, poultry, fish and eggs contain phosphorous, calcium, and magnesium, all of which contribute to strong tooth enamel as well as further the salivary flow that actively protects it. 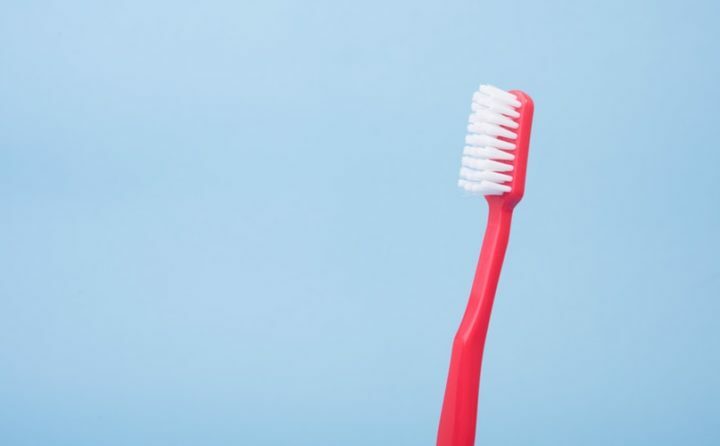 We’ve all seen the commercials that boast, “4 out of 5 dentists recommend switching to an electric toothbrush,” and though the actual number may change depending on who’s selling what, changing the way you brush can tremendously improve your oral health and protect your tooth enamel. As expressed, one of the two causes of decay to tooth enamel is abrasion, which can occur through a number of different ways, including brushing your teeth. Brushing too forcefully or with hard bristles can wear down tooth enamel even as you are trying to strengthen it. The oral health specialists at Crest recommend brushing at least twice a day with a soft bristle or electric toothbrush for at least two minutes with fluoridated toothpaste in order to ensure the best results for your teeth. Due to its grainy, gritty texture, some dentists have been wary about advocating to use the trending activated charcoal as teeth whitening toothpaste, as it may lead to further abrasion. Therefore, for the very best results to strengthen your tooth enamel, first and foremost talk to your dentist about what’s right for you – because every smile shines a little differently.